Sea-Doo Spark – One Year After Becoming The Watercraft Industry’s Instant Star. BRP is world renown for shaping the future of the powersports world and the impact the Sea-Doo Spark model had on the watercraft industry added to the company’s many monumental product launches. It has been a little over a year since the Sea-Doo Spark was launched to the public and since then the energy and excitement this revolutionary product has made is nothing short of amazing. Sea-Doo has long been the leading watercraft brand world-wide yet BRP knew there was an opportunity to offer a product that would make the dream of owning a Sea-Doo watercraft a reality with a completely re-thought and re-engineered design that made the Sea-Doo life more accessible to more people. Lets take a high level look at the first year on the market of the Sea-Doo Spark. Sea-Doo Spark unveil for the International Press. 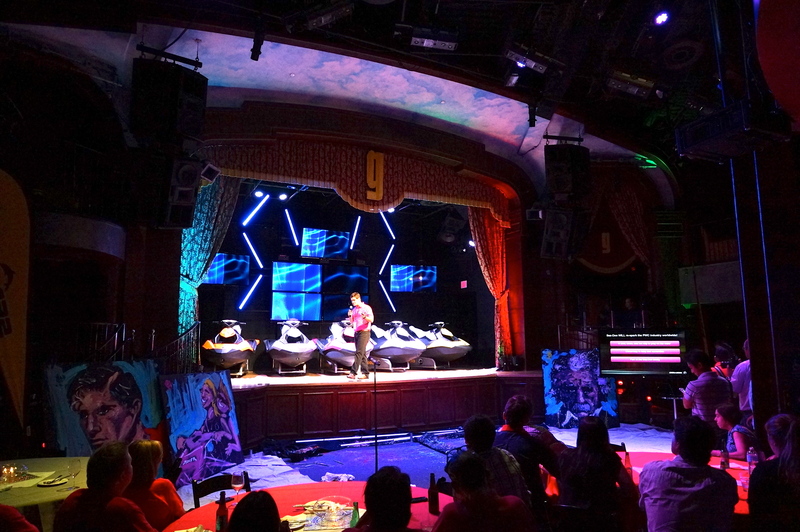 September 15, 2013 – The BRP dealer network and the world was introduced to the new Sea-Doo Spark at the Dolphin Resort in Orlando, Florida. Soon after, the first production units were being shipped to Brazil, Australia and other southern hemisphere countries. September 26, 2013 – The First container of Sea-Doo Spark units arrive in Australia. .
October 4, 2013 – The first production Sea-Doo Spark units are shipped to the US dealer network. October 12, 2013 – BRP sparks some fun in Topock, California in conjunction with the IJSBA World Finals as the first public rides of the Spark are offered to Sea-Doo participants of the Sea-Doo Ultimate Owners Ride III. November 9, 2013 – World Tour professional surfer and Australian legend Sally Fitzgibbons unveils BRP’s latest watercraft, the Sea-Doo Spark PWC, at an exclusive event in Sydney. November 16-17, 2013 – Fans and spectators of the P1 AquaX event in St. Cloud, Florida see the Sea-Doo Spark on Display. January 2, 2014 – The Sea-Doo Spark makes its boat show debut at the New York and Houston international Boat Shows. 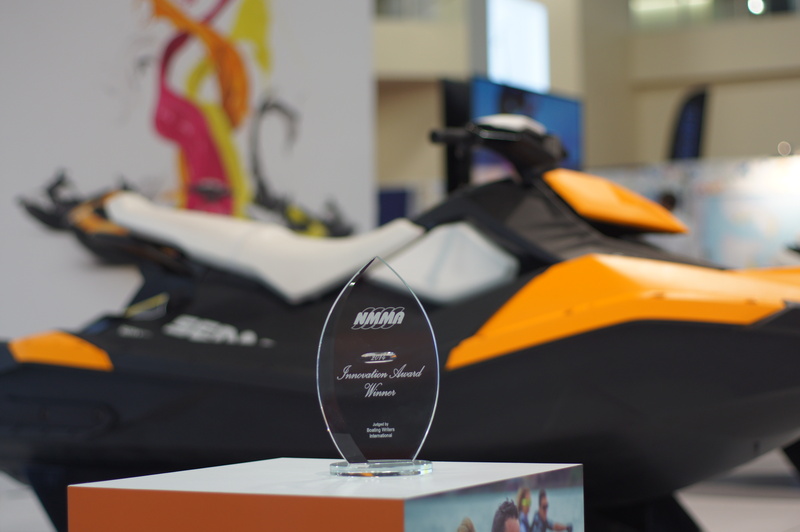 February 13, 2014 – The BWI (Boating Writers International) present BRP with the NMMA Innovation award for the Sea-Doo Spark, the sixth for BRP in six years. March 16, 2014 – The Sea-Doo Events Team begins the #SPARKSOMEFUN Miami Take Over with various Sea-Doo Spark activities in South Florida leading up to the SPARKSOMEFUN Deadmau5 concert. March 23, 2014 – A week-long of Sea-Doo activities in Miami, Florida culminate with a SPARKSOMEFUN concert with performance artist David Garilbaldi and EDM producer Deadmau5 at South Beach’s Fountainblue resort. March 24, 2014 – Deadmau5 and Vanilla Ice go have fun riding the Sea-Doo Spark watercraft near downtown Miami, Florida. 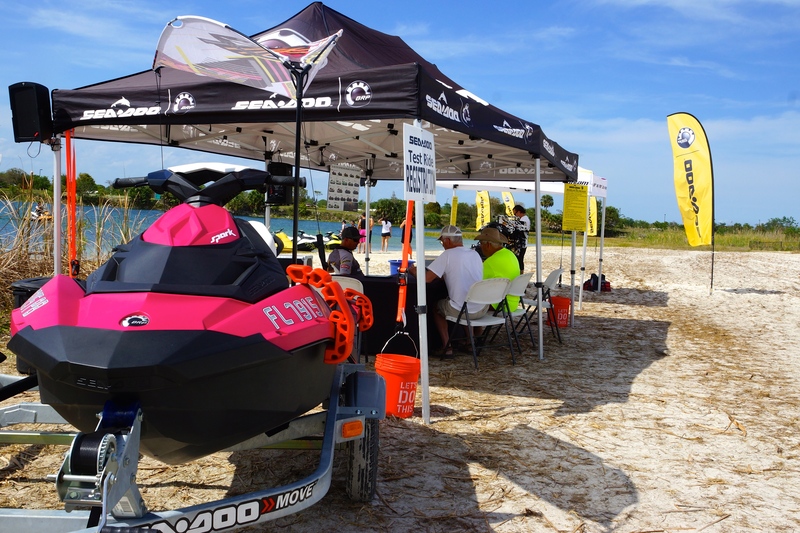 April 4, 2014 – The Sea-Doo #SPARKSOMEFUN Test Ride Tour begins its 33 stop, four-month, North American tour in Pompano Beach, Florida. April 30, 2014 – The Sea-Doo Spark receives the Edison Award silver medal for innovation in San Francisco, California. May 1, 2014 – Boating Industry named the Sea-Doo Spark one of their Best New Products for 2014. May 3, 2014 – YouTube video producer Devin Supertramp shots his, “Skateboarding on Water” Wakeskate video with the NIKE wakeskate team behind the Sea-Doo Spark. The video has been viewed over one million times. July 10, 2014 – The Sea-Doo Spark wins the prestigious Red Dot Award for product design. July, 2014 – The Sea-Doo Spark proves to be the star of the summer as young families search the BRP dealer network for the Spark of their choice. 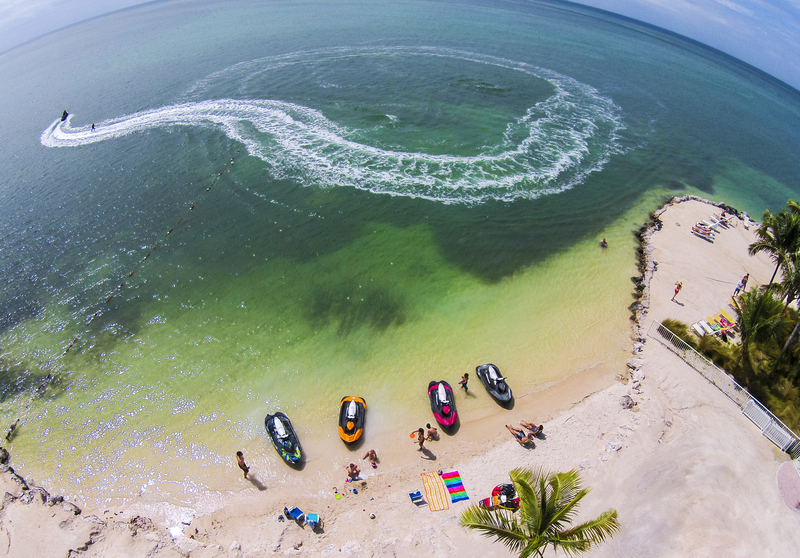 September 15, 2014 – The 2015 Sea-Doo line of watercraft is launched to the public. There were thousands more highlights for the Sea-Doo Spark in its first year and most of those included the fun had by the thousands of owners who joined the Sea-Doo family by purchasing the most accessible watercraft on the market, the Sea-Doo Spark. You can join the trend setters by pre-ordering you Sea-Doo Spark, or any of the other models of the Sea-Doo watercraft family by simply clicking SPARKSOMEFUN!